Kwame Asante has recently had to move from his native London to Birmingham, so that he could start a new job as a junior doctor. Thus, he has had to 'open his arms' to new experiences. 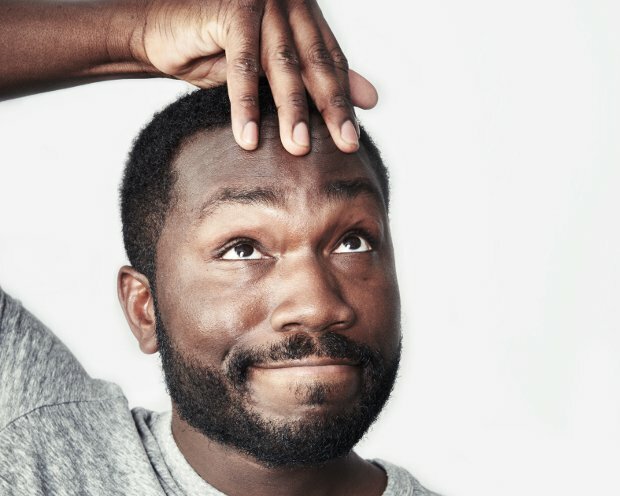 This début hour of comedy from the award-winning Asante is a long-awaited one as he's been pretty busy working as a junior doctor and being underpaid for saving lives. It's a laid-back, gentle affair using the loose concept of having to open his arms to new experiences in order to talk about a variety of topics in his life. Along the way is his take on dating, his parents and pretending to be Adele in a nightclub. But the most interesting material is found in the everyday racism he experiences as a British man of Ghanaian origins and his life working as a junior doctor. Particularly enjoyable is his lampooning of the ridiculous and somewhat naive comments he's received from less enlightened, elderly patients in his care. The stand-out moments here, however, include his response to a friend's comment on the reason that was given at her school as to why black people's palms are lighter in tone. And his denouement is a fine one, imagining the consequences of a UKIP coalition government. Pleasance Courtyard, until 27 Aug, 6.45pm, £8.50–£10 (£7.50–£9).